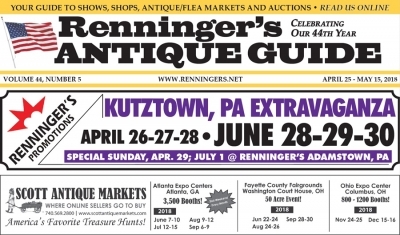 Read the May 16th issue of the Renninger's Antique Guide Newspaper. 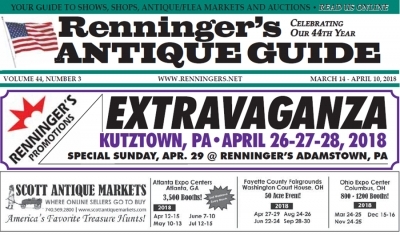 Read the April 25th issue of the Renninger's Antique Guide Newspaper. 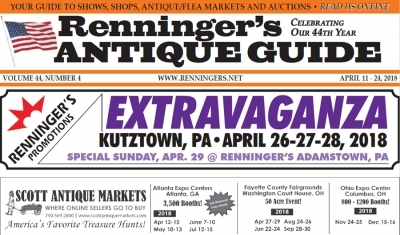 Read the April 11th issue of the Renninger's Antique Guide Newspaper. 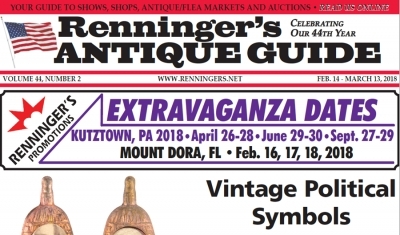 Read the March 14th issue of the Renninger's Antique Guide Newspaper. 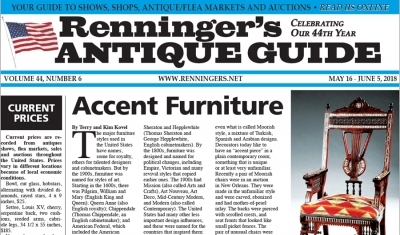 Read the February 14th issue of the Renninger's Antique Guide Newspaper. Join us on Friday, March 30th for our third Movie at the Market. This time around we'll be showing the animated movie, Hop. 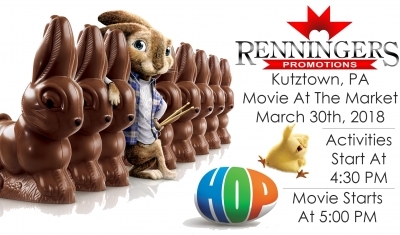 At 4:30 PM on Friday, the movie will be preceded by some Easter themed activities as well as free spins of our prize wheel, featuring Renninger's merchandise as well as prizes donated by our generous vendors. The movie will start at 5 PM. Read the January 17th issue of the Renninger's Antique Guide Newspaper. Read the December 13th issue of the Renninger's Antique Guide Newspaper. On Saturday, December 1st we will be celebrating the start of the Holiday season with our Christmas Open House. Join us at the market to see what some of our vendors have planned. As you shop around the market you'll find cookie decorating, chances to win prizes, deals, special holiday items, and more! Santa has also told us that he will be visiting from 12:00 PM noon to 2:00 PM with special gifts for the kids.